We've been working hard to get our Ten Ryu Katana Swords, Ryumon Katana Swords, and so many others updated as quick as possible as we are expanding our collection of Japanese Katana. Sign up to receive monthly updates and great discount codes! Super deals on Super Katana Swords! Check out the new Ten Ryu Handforged Damascus Tachi, or the gorgeous Ryumon 47 Ronin Katana! 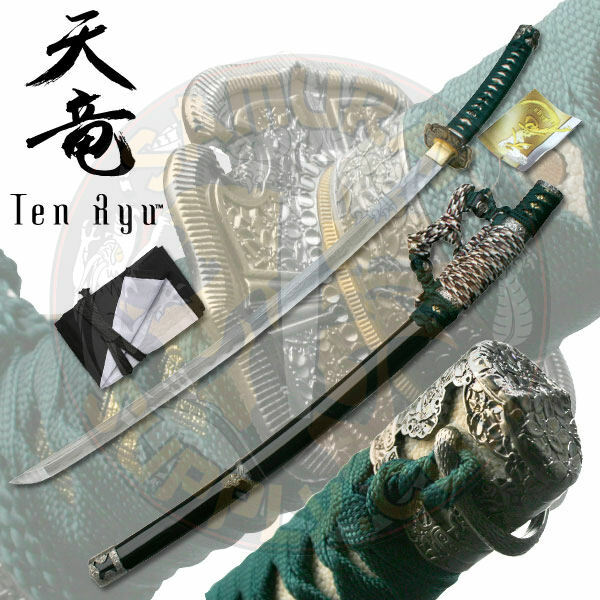 Add some of our New Ten Ryu, or Ryumon Swords to your Samurai Swordcollection today! Welcome to SamuraiSupply.com. 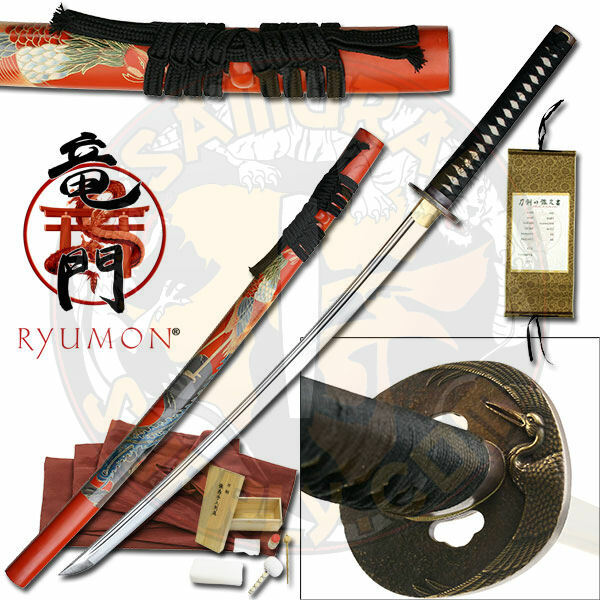 We provide you with the best Samurai Swords, Hakama, Martial Arts Supplies, and Samurai Supplies you desire. Browse our extensive selection of Japanese Swords and Samurai Swords, also known as Katana Swords from various forges. Our Samurai Swords, Japanese Swords and Katana Swords are exceptionally priced at 20%-50% OFF regular prices so that you can own yours today! WE SHIP INTERNATIONALLY! FOR QUOTES CLICK HERE! Take a look in our Hakama section where you can get Custom Made Hakama, and Traditional Japanese Handmade Hakama. ORDER NOW AND RECEIVE AN EXTRA DISCOUNT OFF our already low prices! Fill in the form below! 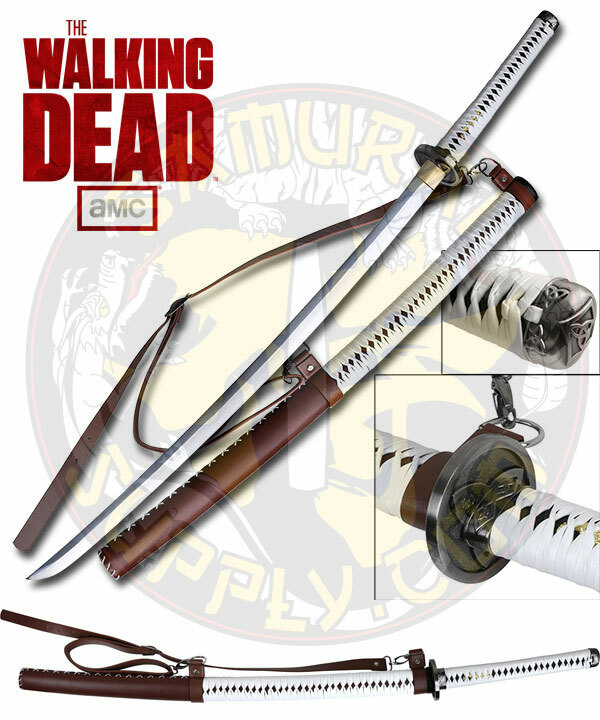 We now carry the Official (licensed) AMC "The Walking Dead" sword! Get yours today! Click HERE to view details. 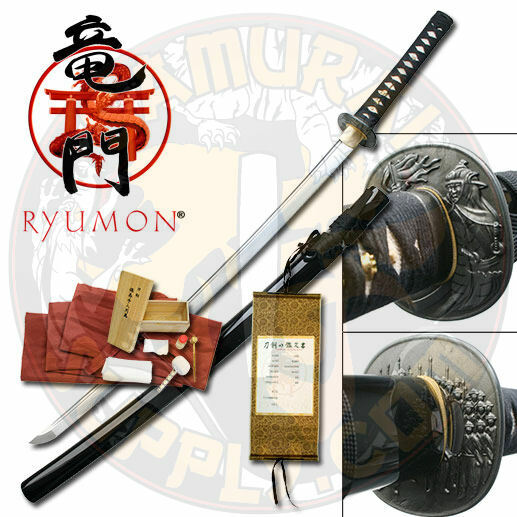 At Samurai Supply.com we love Samurai, Katana, and Japanese Swords and we offer many brands such as the Ten Ryu Samurai Swords, Musashi Katana Sword, Hanwei Paul Chen Sword, Thaitsuki Sword, Cold Steel Sword and the Ryumon Swords to name a few. Please take some time to look through our navigation menu on the left and browse through our selection of amazing Katana Swords and Japanese Swords. A great addition to any collection is the Bushido Black Bamboo Pearl Katana Sword shown to the right. SamuraiSupply.com is getting new Samurai Swords constantly. If you are looking for a particular Samurai Sword that you do not see, just let us know and we will get a price for you! SamuraiSupply.com wants to be sure you are happy with your product and we offer a 30 day money back satisfaction guarantee! (see store policies for more info). Our satisfaction guarantee gives you peace of mind knowing that SamuraiSupply.com stands behind their products! Do you like martial arts? We are also the official sword supplier for the Museum of Sport Karate. LOOK AT WHAT SAMURAI SUPPLY HAS TO OFFER! BECOME A SAMURAI SUPPLY MEMBER! If you would like to become a Samurai Supply Member, please fill out the form above and you will receive monthly product updates as well as special discount codes. SIGN UP NOW AND RECEIVE A SPECIAL DISCOUNT COUPON CODE! WE SHIP INTERNATIONALLY! YOU MUST FILL OUT OUR INTERNATIONAL ORDER SHEET WITH YOUR INFORMATION OR EMAIL info@samuraisupply.com AND WE CAN GIVE YOU A SHIPPING QUOTE. WE ONLY ACCEPT PAYPAL FOR INTERNATIONAL ORDERS AT THIS TIME! At SamuraiSupply.com we are constantly updating our Samurai Swords, Katana Swords and Japanese Swords to bring you the newest and the best selection available. We are also constantly adding Samurai Sword Tsubas so that you can customize your Japanese Swords, Samurai Swords or Katana Swords the way you like. Please go and check out our many different Katana Swords and Japanese Swords and you can find the best Samurai Sword for your needs. As you browse through our site you will see that we have Katana Swords and Japanese Swords for everyone. If you are a swordsman and are doing sword training, if you are a Sword Collector, if you are looking for movie swords for sale or if you just want a beautiful show piece for your home, we have the perfect Japanese Swords for you. Enjoy your time here at SamuraiSupply.com and if you have any questions, please contact us. Â© Copyright 2014 - Sy Enterprises Corp.